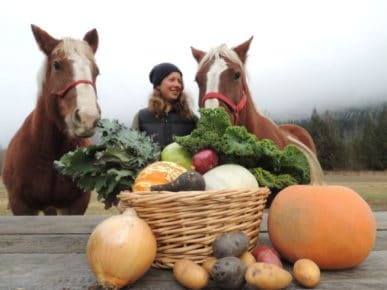 Two Lower Mainland farms are growing their food and delivering it to Lynn Valley giving true farm to table options for local families. One Argyle grad is working the soil near Pemberton, while a lawyer-turned-farmer is guiding three generations on a farm on the Sumas Prairie. Both small farms offer a Community Supported Agriculture (CSA) program delivering a box of fresh seasonal fruits and veggies each week or biweekly. The goal is to bring the public and farmers closer together. Members of the CSA program pay in advance for their share which helps farms with start up costs and in-season income fluctuations. A Crisp Organics CSA box. 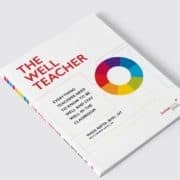 You don’t get to choose what goes in your box – you never know what will be delivered each week. It also means you don’t get a choice. Some CSA programs allow you to pass on a particular item because of allergies or you just don’t like something but if you are picky – this might not be for you. Often the farm will send an email detailing the box which can help identify products you aren’t familiar with. Expand your palate – Farmers plant what goes best locally, not what big box stores ask for so you won’t get a red pepper in June, but you might in late August. You will also likely get some fruit and veggies you haven’t prepared before, like Jerusalem artichokes or a heritage variety of squash. It is a great way to try something new. The season’s best – You will be eating the freshest food, not grown in your backyard. You will get fruits and veggies that were picked that morning or the afternoon before. You will find some of the sweetest strawberries and tomatoes of your life in these boxes. There are two great programs servicing Lynn Valley. CSA programs typically sell out each year, so if you want to sign up get it done early. Even if the websites aren’t quite ready for the summer 2019 season, sign up for their email lists and get notified of their program kick off. Argyle grad Naomi Martz has leased 10 acres of land near Pemberton on the traditional territory of the Lil’wat Nation. Four Beat Farm grows 35 different products for its CSA box. Four Beat Farm is Certified Organic, which means no GMOs or synthetic fertilizers are present on the farm and its methods are third-party verified. 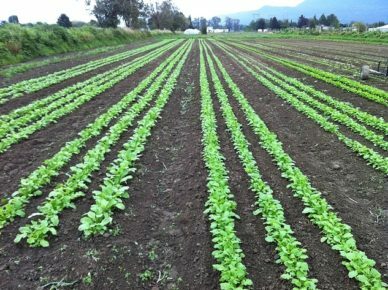 They are certified by the Biodynamic Agricultural Society of BC (BDASBC 10*500-40), and use biodynamic growing practices that focus on soil health and creating regenerative farm systems. A unique feature of Four Beat Farm are its “solar tractors” – their draft horses. The farm uses horses rather than vehicles to work the fields reducing its use of fossil fuels and providing essential compost. Four Beat Farm delivers biweekly to Lynn Valley on Wednesdays. As a member of the CSA you (or someone you ask) must pick up your box from 3-5:30 p.m. They send out a reminder each week. Last year the season was scheduled from August 15 to October 24 for a total harvest season of 12 weeks and an extra-large “double share” of storage crops planned to enjoy late into the fall at the final pickup. In 2010 newly minted lawyer Andrew Arkenstyn-Vogler hung up his robes and started a new dream with his parents – an 11 acre farm in Abbotsford. They have been working the land focusing on sustainability and organic certification. The home farm is certified by the Pacific Agricultural Certification Society, while their extended land is organic transitional. Crisp Organics runs a large CSA program and serves many farmer’s markets. They grow an array of seasonal vegetables with a focus on greens. They also partner with other organic growers at times to add diversity to their offerings. 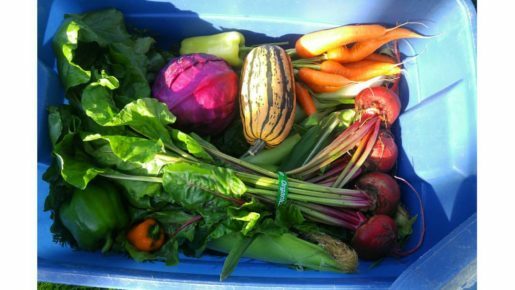 The farm’s summer CSA program runs from May 3 to October 25. They deliver once a week to a location near Argyle Secondary. Unique to Crisp Organics – it offers an option to add SPCA certified eggs to your weekly box. If you sign up before the end of February with the code EARLYBIRD you will get a box weekly box free!